Oklahoma Connection | Tucker came to Oklahoma City, Oklahoma to work at Liberty National Bank and Trust Co. in 1951. After his naval service in World War II, Morrison Tucker served as the banking advisor to the president of the Philippines and managed the South American investments for fellow Dartmouth alumnus and friend Nelson Rockefeller. While a junior at Dartmouth, Tucker was also the intercollegiate figure skating champion. Born in Nebraska and raised in Ohio, Morrison Graham Tucker graduated with honors from Dartmouth College in 1932. 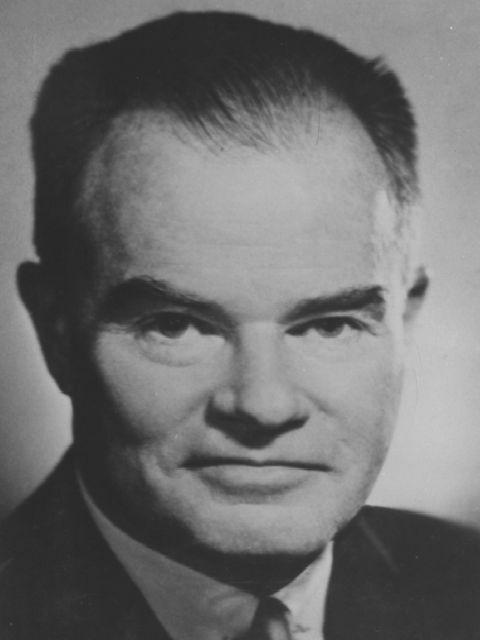 He then served as national bank examiner with the Office of the Comptroller of the Currency and later with the Federal Deposit Insurance Corp., where he became assistant chief for the division of examination and wrote the agency’s first examination manual. In 1944 he married Mae Hartz and in 1951 came to Oklahoma City, where he served as executive vice president and chairman of the executive committee at Liberty Bank until 1969. Tucker founded American Bank Systems, providing comprehensive documents and software for the banking industry. He was president of the Oklahoma Bankers Association in 1974, served on the board of trustees of Oklahoma City University, and was president of the Dartmouth Alumni Council. Tucker was also a principal founder and president of Oklahoma City Beautiful and served on the Mercy Hospital board and as a trustee for the Oklahoma City Community Foundation. See pictures of Morrison G. Tucker and other media HERE.